This research is all about impact of internet and smartphones on language learning. This study examines that how internet and smartphones can be proved effective in learning a language. This study is carried out within the population of English Language classes at Masters Level. The data has been analyzed through the help of interviews from the teachers and questionnaires by the students. This research will be helpful for the new language learners and for the instructors too as well. Objectives of this research are to find out how teaching and learning of Language changes with the introduction of Internet and Smartphone's at the same time to give recommendations that how the use of Internet and Smartphone's can be improved for learning and teaching of English Language. Resultantly, the research reaches the conclusion that internet and smartphones are playing vital role in learning languages and there will be a time when this technology will be fully demanded for learning languages in developed countries too. Key Words: Internet, smartphones, communication and language. From books and boards the language learning is shifted to virtual learning environment. Internet and smartphones are playing their vital roles in this regard and around the world teaching and learning is made convenient through internet and gadgets like smartphones. Language and communication are two things interlinked with each other similar to every technology. The basic purpose of Internet and Smartphones was communication but later on it was turned for language purposes. Today we are having the latest technology in the form of Internet and Smartphones. Both are the key sources of information in every field as well as in the learning of English Language. Internet is the source which provides learners an opportunity to connect with each other on a single platform to share their views and opinions in the form of blogs, websites and different social media. Research on the potential of blogs for enhancing second language acquisition has been growing since the start of this century (Duber, 2002; Godwin-Jones, 2003. Social networking Websites, such as YouTube, Twitter, and Facebook, have become extremely popular among Internet users who wish to share their ideas, videos, and other activities online (Dieu & Stevens, 2007). After the times of computers our 21st century is receiving knowledge from Smartphones. This new phone gives the human the great opportunity to learn language, from the amazing hidden technology in the mobiles. These new mobiles, which have the special effect by the modern touch-screen, give familiarity of different operating systems. The three operating systems that are known worldwide are so called: IOS (Apple), Android (Google) and Symbian (Nokia). Chambers & Bax, called the integration of technology with language learning process as Normalization. With normalized environment we mean to learn language at time when we want to rather than some scheduled boring classroom lectures (Chambers & Bax, 2006. Internet and latest phones provide liberty to learners to practice and learn language by focusing separately on individual skill. 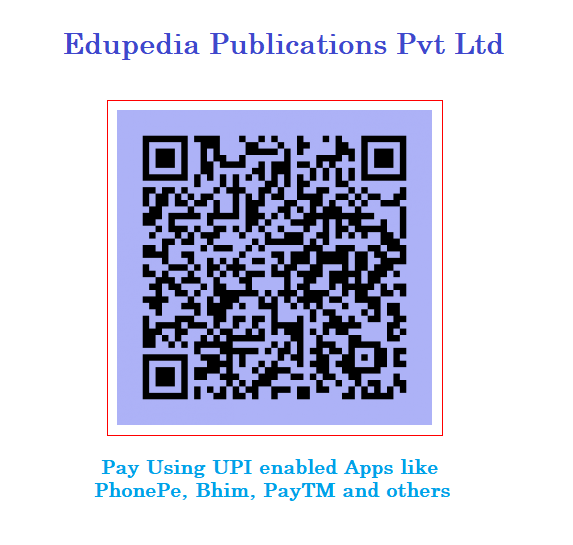 Books are easily accessible on mobiles in the forms of different formats mostly in pdf version which otherwise a difficult and costly matter. This certainly seems to be true for Pakistan, as obtaining these books by any other means is both difficult and costly. Internet and Smartphone’s have replaced the printed learning material like books. Recently Punjab Government announces to replace books with Tablets in schools and some private Institutions have already taken that step. Before teachers were the only source of information for students but now Internet has vast range of information. 1. To find out the use of Internet as medium of language learning. 2. To find out the use of smartphones as medium of language learning. 3. To find out positive impacts of Internet on language learning. 4. To find out positive impacts of smartphone on language learning. This research is about the impacts which internet or modern mobile phones leave on the learners, later through the analysis of data the question is answered either these modern gadgets and internet have positive impacts towards the learning or they are not merely useful for learning. This part of my study is based on the previous researches conducted on the similar topics, their analysis and their link with present research. (Daesang Kim, Daniel Rueckert, Dong-Joong Kim, Daeryong Seo,, October 1, 2013) conducted a research on student’s experiences and perceptions of learning through mobile phones. In their study, they used pre and post study surveys in classroom before and after class projects for the collection of data. Fifty three master’s students in TESOL from three different graduate classes during spring 2012 at one central US University take part in research through different class projects. From these fifty three students seventeen were male and 36 were female aged between twenty one to fifty years. All students were divided into two groups, one with mobile phones holding latest technology and other with the moveable PC (laptops etc.). The findings from the study shows that on large account students lack access towards these latest phones or some hesitancy is there for using these mobiles out of the classroom especially for learning purposes. (Chunyi Lee, Keng-Chih Hsu, Ru-Chu Shih) They conducted a research regarding C and U message, its effects while implementing a language using the smartphone technology at college level. (ANNA COMAS-QUINN, RAQUEL MARDOMINGO, CHRIS VALENTINE., 2009) In their article they created some mobile blog which can be a support to constructivist, they used 400 students of eight universities with Spanish as their second language as sample. Earlier the plan was to use simple technology but due to some restrictions (Financial, Pedagogical and Practical) the plan was changed and each member used his/her personal multi- functional mobile phone. Students had to send the data collected through their mobiles to the blogs. The whole process did not achieve what was expected from it but it provided the first experience and opened the new ways towards this matter. (Muhammed, 2014) The purpose of his study was to guide the learners about the phones which have effectiveness towards the learning. For the collection of data he used group discussion with 20 randomly selected students. All the participants gave their preference for the smartphones. Afterwards on the recommendations from students the list of the applications which were related and helpful for language learning was presented. This study is related to the use of the latest kits for the language learning and to alert the learners about the mobile phone applications. (Valérie Demouy and Agnes Kukulska-Hulme, 2010) They conducted their research to investigate the speaking and listening experiences of students using their own latest devices and that was extra practice other than their routine and course schedule. 1,012 were taken as population and out of them 100 were selected as sample. 2 groups were made and after the experiment students have to fill the online questionnaires. The study recommends that through the modern devices speaking and listening can be learned effectively. Further comparing the effectiveness of mobile phones with PCs, mobiles provide worthwhile practice but learners need initial guidance regarding the use of these device. Language learners with possession of latest gadgets are unaware of its usefulness for their learning. There are many applications help to assist in language learning like Hadeda and Idiomobile. This study guides the learners towards the use and importance of these applications. Smartphones are also the source of communication and nowadays we see there are some applications (WhatsApp, Line, and Viber etc.) use internet and act as communicative tools. Learning vocabulary through these tools is helpful and influential. (Tim de Jong, Marcus Specht, Rob Koper, 2010) In their study they used 7 treatment groups to investigate the effectiveness of each group on Hindi vocabulary learning. 35 volunteers with iPhone 3G take part in research and for the collection of data pre post questionnaires were used. Each treatment group provide different results, some positive and some negative. The desires of the students were regarding the improvements in application and ease in use. The usage of the application on technological grounds gave negative impression. The gain of knowledge through application proved helpful and effective. From results after conducting experiments study recommends further improvements. Vocabulary is the main part of every language, to learn vocabulary different methods are used and one is the above described mobile software. This research will see the effects of this software on vocabulary gaining. This study deals with the impact on language due to the recent technological inventions such as smartphones and internet. Further it is to see whether both technologies have any role while learning English language and to find the percentage, role and effectiveness. This Research is carried out through quantitative method. The researcher employed two research tools for the collection of data that are relevant and accurate as well. For this, researcher used close ended questionnaire filled by the students and interviews conducted from their teachers. For the purpose of answering the questions students have to choose one option from two. Either they choose “Yes” for their answer or they go against the statement and choose “No”. While for interview, teachers will be asked open ended questions. Data will be gathered in the time span of two weeks. Population selected for this research comprises of the English language students from NUML, Lahore campus and Lahore College for Women. Due to the time constraint and shortage of resources the sample of the current study is limited to 80 students and 10 teachers. Sample will be selected randomly. I use internet for language learning. The above graph is about the percentage of individuals, using or not using internet for language learning. On the one axis we have the percentage and on the other axis we have decision. According to the questionnaire filled by 80 students, 54 of them answered in Yes which is 68% of the total while other 26 students answered in No which is 32% of the total number of students. I use Smartphone for language learning. The above figure is about the students learning English language through smartphones. According to the survey 66% students answered that they use smartphone for language learning. On the other hand 34% are those students who do not use smartphones for learning language. My focus is on learning accent through internet and smartphones. The above diagram is about learning accent through internet and smartphones. In the graph we can see that the focus of 48% of students was on learning accent while using internet and smartphones for language learning and rest of the students do not focus on the accent learning from smartphones and internet. My focus is on learning vocabulary through internet and smartphones. The above chart and table is about the learning of vocabulary through internet and smartphones. Further it represents that the large no of students learn the vocabulary with the help of internet and smartphones and their number is 64, which is the 80% of the total number of students while other 20% do not learn vocabulary through internet and smartphones. My focus is on learning listening through internet and smartphones. The above constructed table and chart deals with the learning of listening by using internet and smartphones. Moreover it depicts that the percentage of students using internet and smartphones for listening is 63% and the percentage of not using these gadgets for learning listening is 37%. My focus is on learning grammar through internet and smartphones. The above graphical and tabular data deals with the learning of grammar with the help of internet and smartphones. The data shows that the percentage of students learning grammar by using internet and smartphones is 50% which is similar to the students not using these technological aids for learning grammar. I prefer to learn English language from teachers. The above representations provide data about student’s preference to learn English language, when they are taught by the teachers. According to the data and illustrations it can be seen that majority of the students goes in favor of or prefer to learn English language from teacher. The students in majority prefer to learn from teachers is 94% while left 6% do not prefer to learn English language from teacher’s guidance. I prefer to learn English through internet. The above forms of graphical and tabulated data illustrate the preferences of English language learners for learning the language with the help of internet. Illustrations tell us that 53% learners answered in Yes or they prefer internet for learning English language. In contrast to this 47% have no preference to learn a language using Internet. I recommend smartphone and internet for language learning. The above graphical representation is to know the students recommendations about the use of smartphone and internet for learning a language. The descriptions tells, about 60% students recommend to use internet and smartphones for language learning and other 40% go opposite and do not recommend the use of internet and smartphone for learning a language. I prefer to learn English language through social media. The above representation of chart and table states the preferences of students towards learning a language through social media. Collected data tells that 58% people use social media for the language learning and on contrary to this 22% have no preference towards learning language with the help of social media. Have you ever used internet and smartphones for language teaching? From the analysis of the interviews it is derived that two out of 10 teachers that are 20% of total percentage, have said that, they do not use internet or smartphones while language teaching and remaining eight teachers which are 80% of total ratio, have answered that, they use internet and smartphones for language teaching. From eight teachers few have reservations towards the use of smartphones for teaching, but they favor the use of this technology for learning process. Those teachers who do not use internet or smartphones for teaching, they are of the view that traditional method of teaching is better for the students. Some teachers think that, these devices and internet are beneficial for lecture preparation, but they are less useful while teaching. Does it help students in learning or not? The statistical analysis displays that teachers, who have used the electronic and virtual technologies answered that it, helped students no teacher have said that it do not helped the students. The proportion of teachers who said that the devices are helpful is 60% while the percentage of those teachers is 0% who think that, internet and smartphones are not helpful. On the other hand 20% teachers were those who said that internet and smartphones are partially helpful for students. Remaining 20% teachers have no experience of using internet and smartphones, but they think tools can be helpful for students, if students use them for learning. Almost every teacher possess reservations, according to them if students use the gadgets for learning then these gadgets are of great benefit, if one use them for other purposes then these devices provide no help to students. Few teachers think that for smart, educated students or students from cities these devices provide help at large, while students with rural background are not able to take benefit from it. How students reflect to it? In the above presentation teachers who are using internet and smartphones for their lectures answered that, those students who are learning a language in this kind of environment not only appreciate it but also enjoy the learning. The percentage of teachers with point of view towards the appreciation by students is 80%. There is not a single teacher who has answered that, students depreciate the use of the modern tools and virtual atmosphere. There are 2 or 20% of teachers who have not experienced such teaching techniques for their teaching of language. Which area you like or want your students to learn from internet and smartphones? Most of the teachers want their students to learn listening speaking and reading by using internet and smartphones. Seven teachers prefer that students should learn Listening, and, they are 70% out of individual 100%. Five teachers want their students to learn Reading and they are 50%. Six teachers are of the opinion that students focus is to be on Speaking and their ratio is 60%. Few have a view that the usage of modern gadgets has to be for learning vocabulary and their proportion is 20%. Few prefer that students must use the technological and virtual tools for research work or content learning they are 30%. Are there any changes brought in teaching with the introduction of internet and smartphones? Teachers who are using or not using internet and smartphones, all have the same view, all of them think that, internet and smartphones have changed the teaching methods. Due to these technologies teaching become interactive, attractive, easy, quick, more informative and more equipped. This topic is based on the discussion about the results of the research, findings derived from the research and recommendations for learners, readers, and upcoming researchers. Before the commencement of research it was expected that the ratio of users of internet and smartphones for learning a language will be less as Pakistan is culturally bound and socially weak region, but results are against the expectations. Actual results are above than expected results. From the results it is deducted that, there will be a time when language learning will be fully dependent on technologies like smartphones and internet. Smartphones and internet have not only changed the way of teaching but also shared the burden of teachers. Further, these technologies are helping students. In learning a language internet and smartphones can play a vital role and can be effective tools of language learning if they are used with proper guidance and motivation. Following are the recommendations derived after the analysis of data. · Teachers should increase the use and practice of these electronic and virtual language learning tools. · Other than the major skills of language, pronunciation, grammar and writing should be learnt through internet and smartphones. · Encouragement, guidance and motivation from teachers is required. · Constantinescu, A. I. (2007). Using technology to assist in vocabulary acquisition and reading comprehension. · Hockly, N. (2012). ‘Technology for the Language Teacher: Mobile learning’. EFL Journals. 67 (1), 80-84. Oxford University Press. · Liu, L. & Leina, L. (2012). ‘Designing Principles of Mobile Learning in ESP Course for Chinese Students’. Procedia Social and Behavioral Sciences. 2, 142-148. Elsevier Ltd.
· Richards, J.C. (2006). Communicative Language Teaching Today. Cambridge: Cambridge University Press. · Taleb, Z. and Sohrabi, A. (2012). ‘Learning on the move: the use of mobile technology to support learning for university students’..